Week off for Thanksgiving Break! Join Preps Dance Company this October on a journey to the past to investigate a rumor in St. Petersburg; though the Czar has not survived, a rumor implies one of his daughters may still be alive! Has the Princess Anastasiya escaped the evil hex the high priestess Rasputin has put on the Royal Romanovs? Has the Grand Duchess of the Russian Royal Family sought refuge in Paris? A teenage orphan who is unaware of her royal heritage, dimly remembers things her heart used to know, a song that played in a music box her 'grandmama' gave her. She is confronted by a young man who believes she can pass as the real Princess and persuades her to go to Paris to be reunited with her Grandmama, the Grand Duchess of the Russian Romanovs. Are the rumors true? Could she be the real Anastasiya? Will we ever know? Or will it always be a mystery? 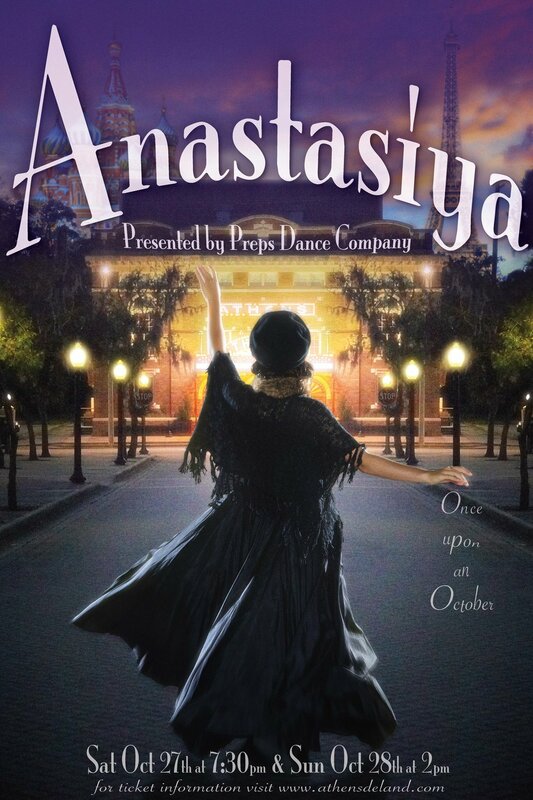 'Anastasiya' a dark twist on the Broadway Hit Musical & Film. Perfect for an October Outing! Appropriate for all ages! Full of Song, Dance & Mystery!